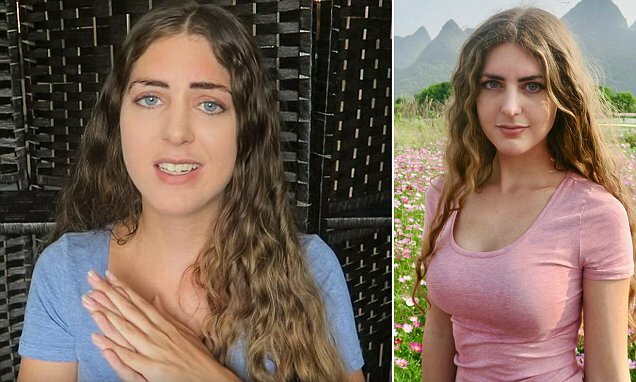 A young American travel blogger who stayed in India for three weeks over the summer released a harrowing video detailing her alleged experiences with stalking, sexual harassment and assault by male employees in two different hotels. Jordan Taylor, who goes by Travellight on her YouTube channel, nervously spoke in a Saturday vlog about her hellish encounters in the nation's capital of New Delhi. 'This is not going to be an easy video to make today... I don't really know how to introduce this, so I'm just going to try to jump right into it,' she first said in the video. 'About two months ago, I got to India and I spent over three weeks [there]. Overall, my trip to India was great. I really loved it, saw some amazing thing, had some great adventures. Jordan had been staying with her boyfriend, Livio, for most of the getaway that went from fun to scary. Her first creepy encounters allegedly occurred at a five-star hotel she and her boyfriend had been staying in. The blogger claimed men inside the hotel groped her and whispered sexually explicit things in her ear while the couple were together in a lobby. 'Men just randomly passing by reached out and grabbed me, were touching me, were groping me. Scientists propose new theory on Alzheimer's, amyloid connection It has been more than 100 years since Alois Alzheimer, M.D.